One-piece plastic frames coated with beeswax are ready to use - no assembly required. 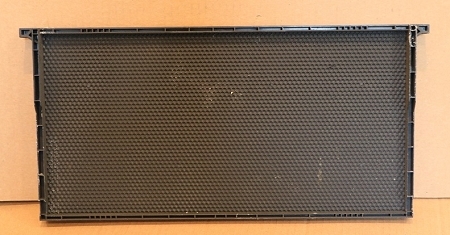 These black frames are 9-1/8" for use in standard deep boxes. The black color makes it easier to see eggs and young larva during brood inspection. These frames are reusable - just scrape off the old comb, power wash & give it a quick coat of wax and they are ready to go. We have found that adding an additional coat of wax before installing in the hive helps the bees accept and draw out the new frames more quickly.